Author(s) Bailer-Jones, Coryn A. L.
Science is fundamentally about learning from data, and doing so in the presence of uncertainty. This volume is an introduction to the major concepts of probability and statistics, and the computational tools for analysing and interpreting data. 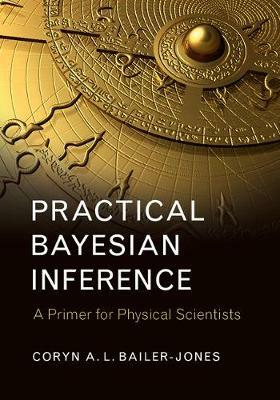 It describes the Bayesian approach, and explains how this can be used to fit and compare models in a range of problems. Topics covered include regression, parameter estimation, model assessment, and Monte Carlo methods, as well as widely used classical methods such as regularization and hypothesis testing. The emphasis throughout is on the principles, the unifying probabilistic approach, and showing how the methods can be implemented in practice. R code (with explanations) is included and is available online, so readers can reproduce the plots and results for themselves. Aimed primarily at undergraduate and graduate students, these techniques can be applied to a wide range of data analysis problems beyond the scope of this work.